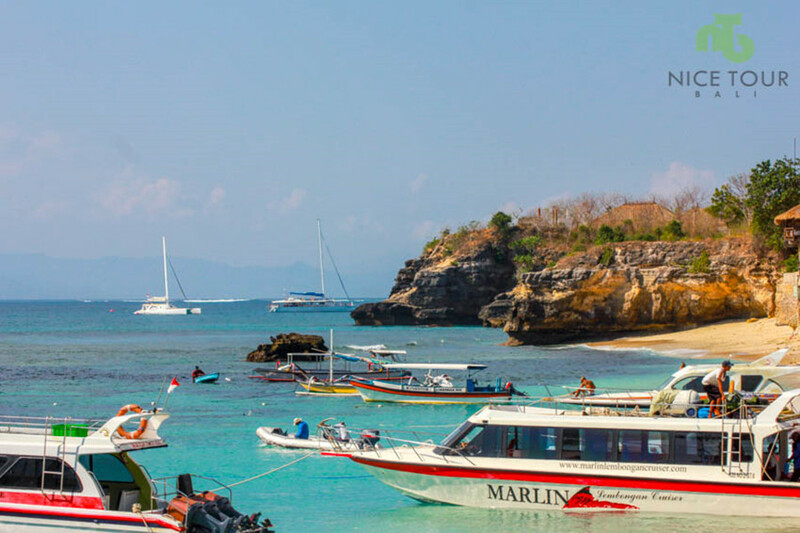 Bali Lombok Tour Packages is our bestselling 7 days 6 nights in Bali and Lombok whereby you will land in Bali airport, and depart from Lombok airport. 00.00 hrs: Arrive in Bali Denpasar Airport. 00.00 hrs: Pick up from airport, and transfer to your hotel in Kuta for check in. 00.00 hrs: Check in hotel. Welcome drinks. Rest & relax. Day 2: Kuta - Nusa Dua - Tanjung Benoa - Suluban Beach Uluwatu Temple and Back ! Visit Turtle Island with glass bottom boat to see beautiful fishes and coral under water. 01.00pm: Lunch at Mak Jo Restaurant. 06.00pm: Watch the Kecak & Fire Dance Performances at Uluwatu Temple during sunset. NOTE: Time: 6pm to 6.45pm. 07.30pm: Dinner at Jimbaran Beach – Sunset Candlelight Grilled Seafood Dinner. 08.30pm: After dinner, proceed to hotel. 09.00pm: Back at hotel. Tour ends. Day 3: Kuta - Jatiluwih Unesco Site + Bedegul Temple - Tanah Lot Temple and Back ! Jatiluwih Rice Paddy hills – Listed as UNESCO WORLD HERITAGE SITE. Bedegul Temple (Lake Bratan & The Twin Lake) Temple on the Lake. Bedegul Fruit & Food Market. 01.30pm: Lunch at Pacung Indah Restaurant. Nice restaurant overlooking the valley (Buffet). 07.00pm: Drop back to hotel & free program at night. 08.00pm: Back in hotel. Tour ends. day 4: Kuta - Ubud Tour | Hotel Transfers from Kuta to Ubud! Maxone Hotel Ubud / Saren Indah Ubud or similar class hotel. 07.00am: Breakfast in the hotel. Free & easy at own leisure. 01.00 pm: Buffet lunch will be prepared at Volcano’s viewpoint which you will be having your lunch facing the beautiful Mt Batur – active volcano with 1717 meter above sea level. 06.00pm: Dinner at Ibu Mangku Ayam Kedewatan. NOTE: Famous for the chicken rice. 07.00pm: After dinner, check in hotel at Ubud. Welcome drink. Rest & relax. Tour ends. Day 5: Ubud - Padang Bai - Gili Trawangan, Lombok | Boat Ride from Bali to Lombok! 06.00am: Breakfast in the hotel. Free & easy at own leisure. 07.00am: Check out hotel. Pick up from hotel and transfer to Padang Bai Harbour to catch your cruise to Gili Trawangan, Lombok. 10.30am: Arrive in Gili Trawangan Island, Lombok. 12.00pm: From Harbour, walk to hotel to check in – 5 minutes walk. What to do after check in? 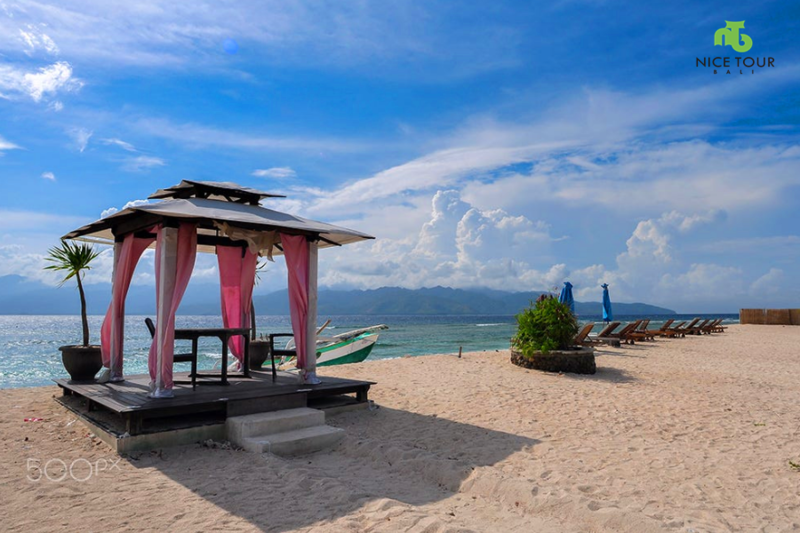 Rent a Cedomo(horse cart) and travel around in Gili Trawangan. 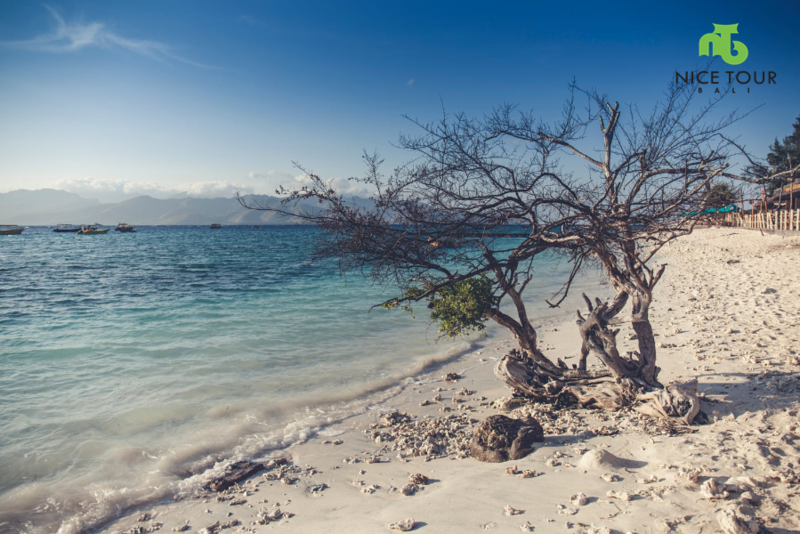 Rent a bicycle and ride around in Gili Trawangan for sunset at Sunset Point. Party at night, spa & massage…. 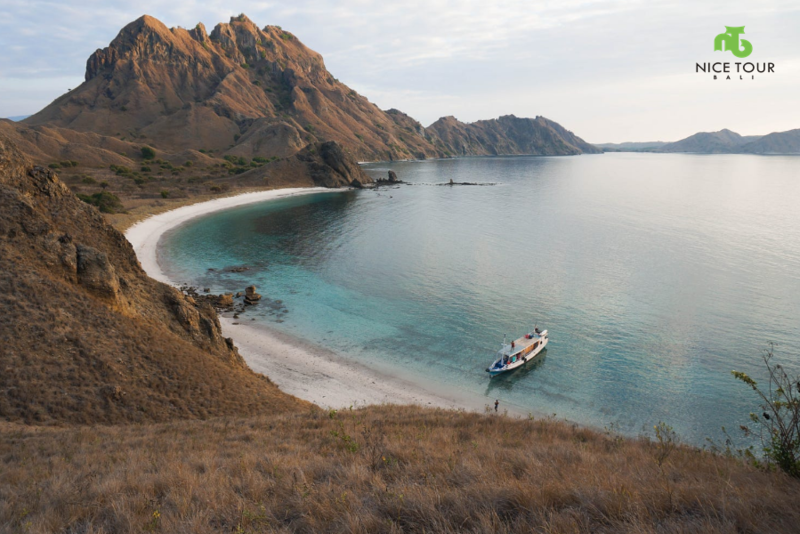 Snorkeling, swimming, diving… all about beach and sun! In Gili Trawangna, no cars or motorbike are allowed, only horse cart as transportation. Lunch will be at own expenses. Day 6: Gili Trawangan to Bangsal Harbour - Senggigi, Lombok | Boat Ride from Gili Trawangan to Lombok mainland! 06.00am: Breakfast at hotel. Must depart from Gili Trawangan at 7.30am with private charter speed boat. 08.30am: Arrive in Bangsal Harbour. 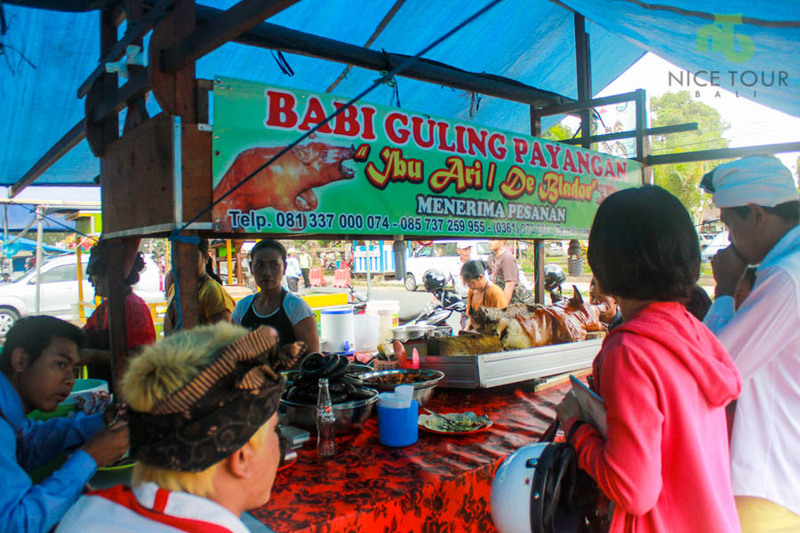 Visit Tanjung Traditional Market, colorful local market with fruits and foods traded Islands by local people for their daily needs. 02.00pm: Check in hotel. Welcome drink. Rest & relax. 06.00pm: Dinner at Furama Restaurant by the beach for sunset. 07.00pm: Back to hotel. Tours end. 08.00am: Breakfast in the hotel. Free & easy. NOTE: Hotel have a ocean front infinity pool, free & easy enjoy hotel facilities. lunch, visit: Kuta Beach & Tanjung Aan Beach. NOTE: Can take amazing photos or can swim. 04.00pm: Pick up and transfer to Mataram Airport for check in. 05.15pm: Arrive in airport, check in. 07.15pm: Depart to Malaysia or your own country. Hotel x 6 nights as per itinerary. Airport two ways transfers. NOTE: You will land in Bali, and depart from Lombok. Speed Boat from Bali to Lombok x 1 way. Donation when you enter temples in Bali and Lombok. 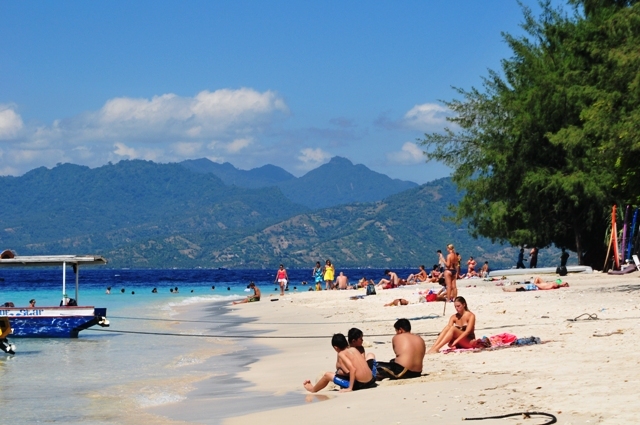 All inclusive Bali Lombok Tour Packages.